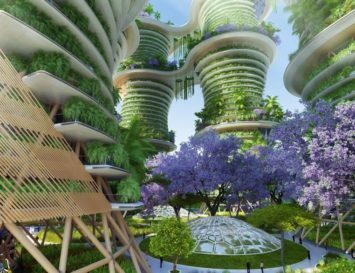 The push by eco-tourism toward cleaner, greener travel has not only improved the numbers of eco-luxury hotels around the globe, but high-end, emission-free watercraft have proliferated, too. 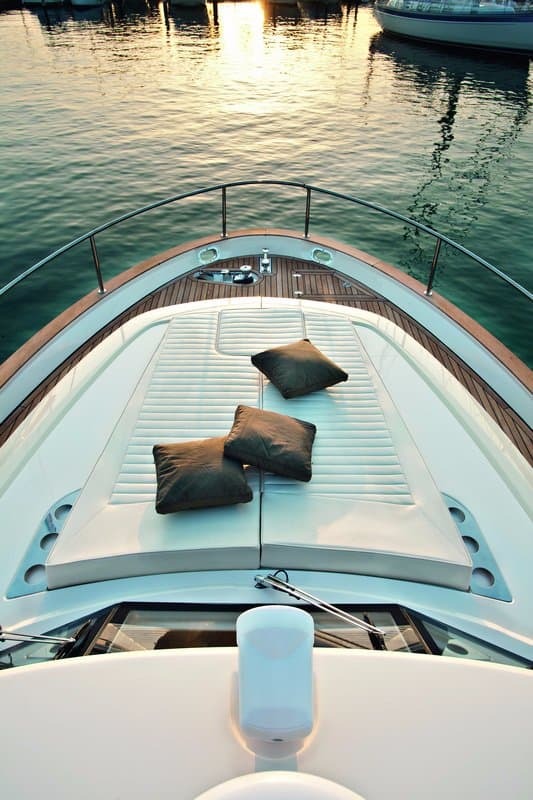 After all, is there a more luxurious means of travel than by yacht? 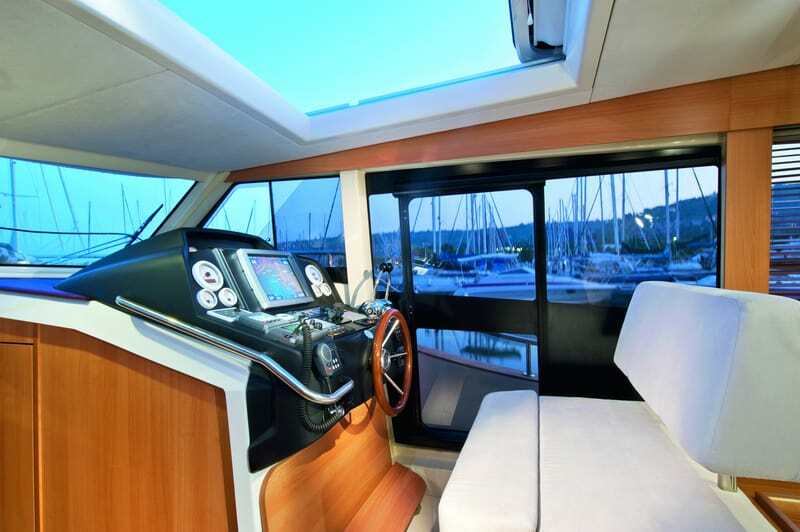 Recently, Eluxe has featured several plush water homes and a few eco yachts, including the Bolla and Seatachi. We continue that trend in this piece, highlighting three new watercraft that promote sustainable luxury travel without sacrificing comfort. In the short time they’ve been on the market, Greenline hybrid yachts have made quite a name for themselves, as the electric-diesel hybrid watercraft have won more than twenty awards since 2009. 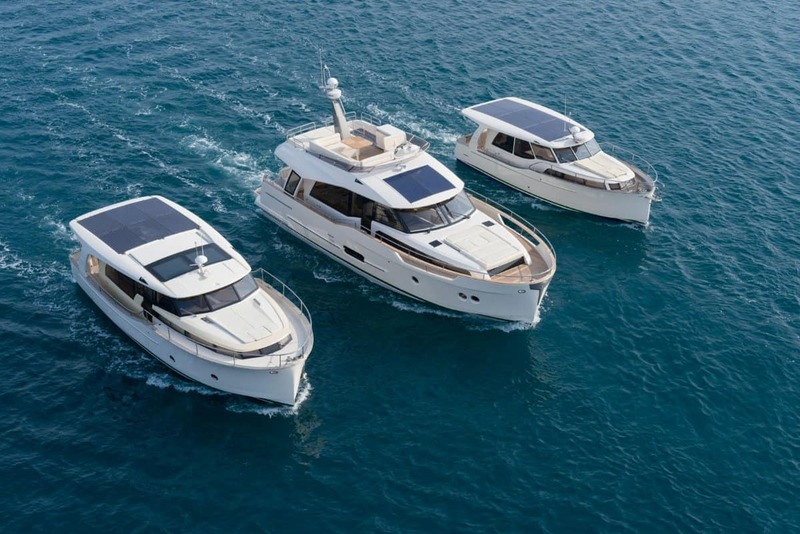 Offering a choice between ten-, eleven-, twelve- and fifteen-meter models, each with four different modes of operation, Greenline yachts cost less to run and require fewer fuelling stops while greatly reducing carbon dioxide emissions. The ten-meter model was the world’s first production hybrid and solar-powered boat. A protected hybrid propulsion system allows for diesel or electric power, with the electric mode propelled by lithium batteries. The 12kWh battery system can be charged by plug-in (while docked) or by the rooftop photovoltaic array. The batteries provide a 230 (120) V AC power supply on which the yacht’s various appliances (fridge, oven, television, etc) run. To alternate between diesel and electric mode, simply flip a switch. 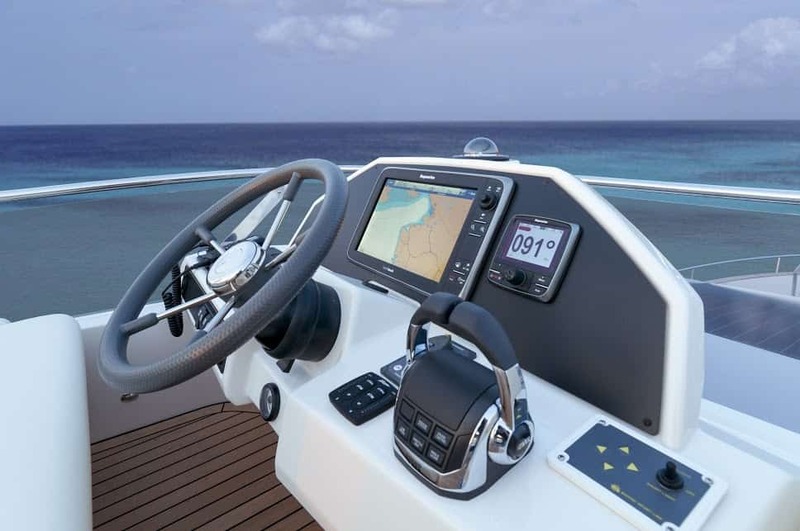 Electric mode allows for cruising speeds of six knots with a range of twenty nautical miles, not to mention noise- and emission-free sailing. And running costs of electric boating are one-tenth those of diesel power. One Greenline owner has said, perhaps not jokingly, that he’ll spend more on beer and ice than on fuel. The yacht’s price tag, however, ain’t cheap. 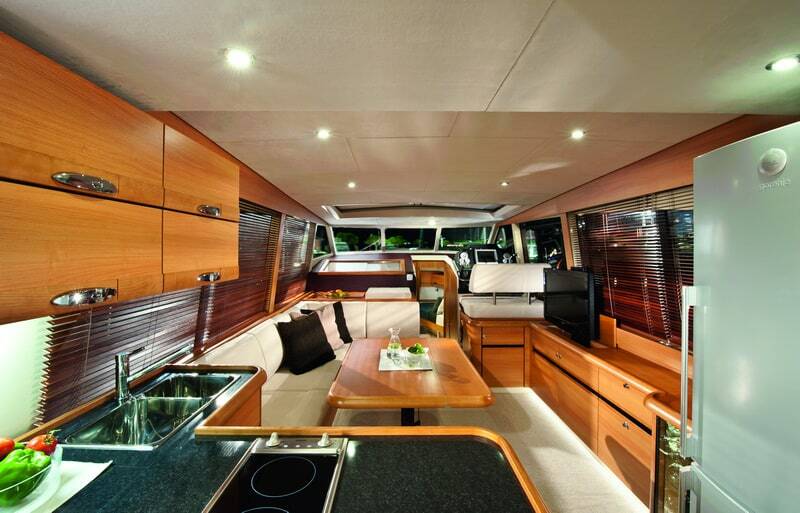 The fifteen-meter model sleeps six and accommodates more on day trips, and retails at over a million dollars. 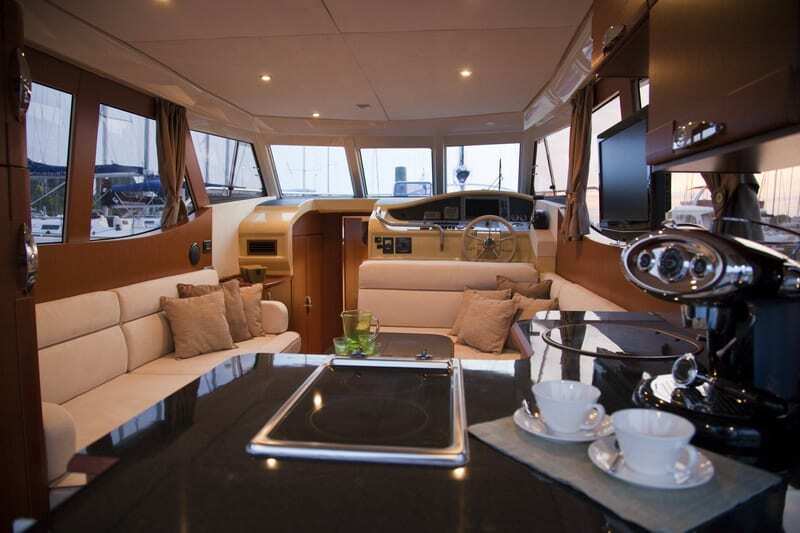 The yacht’s bodywork offers added benefits. What’s called a protected Superdisplacement low-drag hull design–modeled after a sailboat hull–creates less resistance and easier handling, benefitting the environment through lower fuel consumption and less wake. 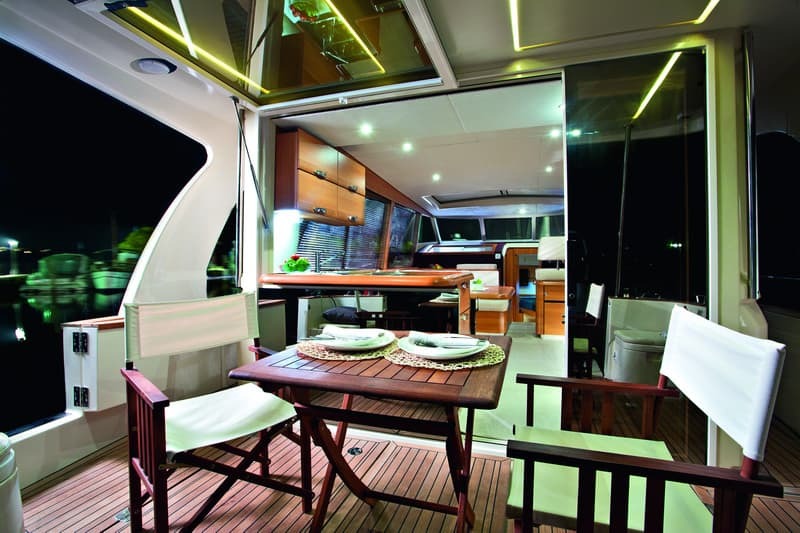 It’s also half as light as traditional yachts, with a stronger body constructed from recycled materials. 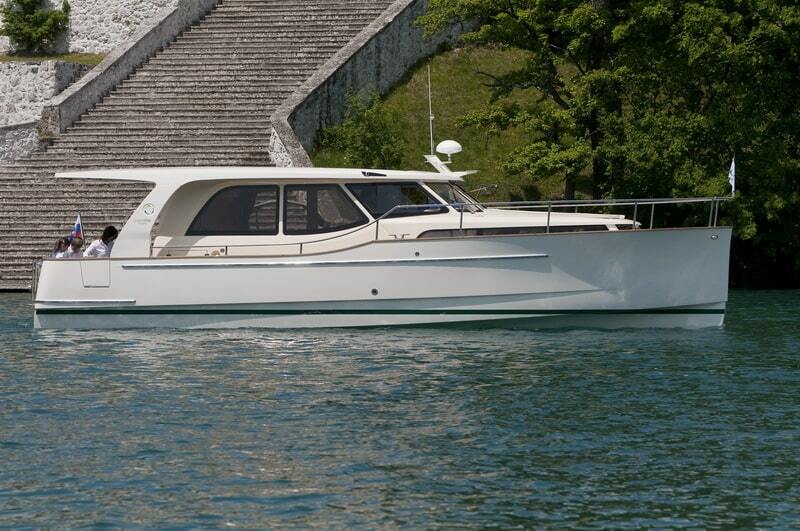 Netherland-based company Soel produces a watercraft that is similar in many ways to Greenline’s yacht. 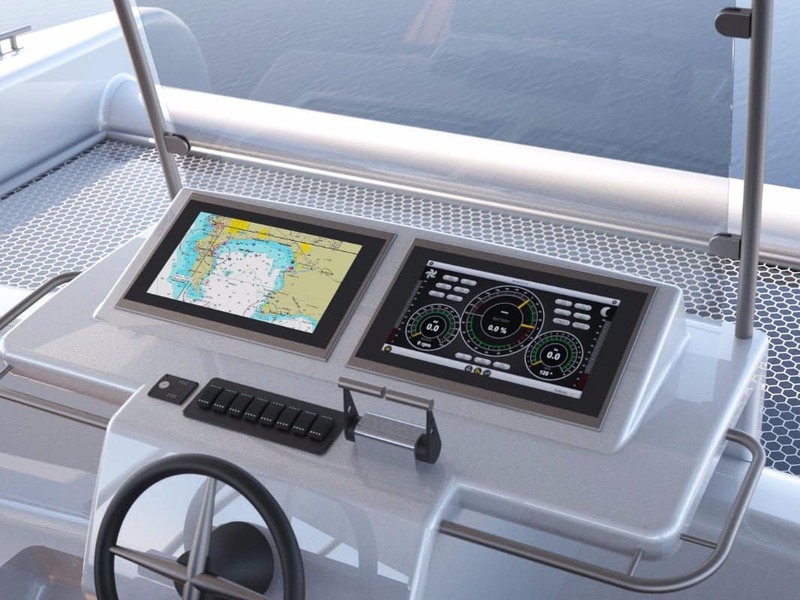 Both offer sailors a yachting experience free of noise, emissions and fuel costs. 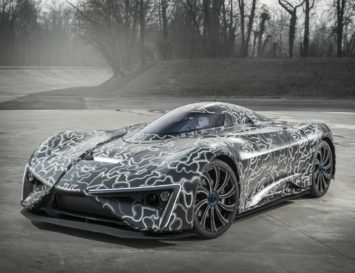 Both boast solar array sunroofs that feed lithium batteries and an electric propulsion system. Both provide on-shore power-charging options. 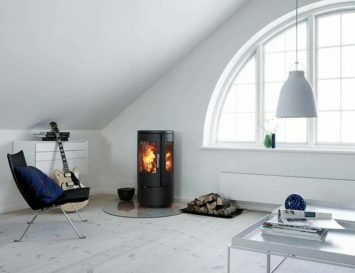 And both are built from lightweight, durable materials that reduce energy needs. Yes, Soel offers fuel independence and a chance to hear the ocean without the irritating drone of an engine. Yet Soel isn’t quite a yacht. 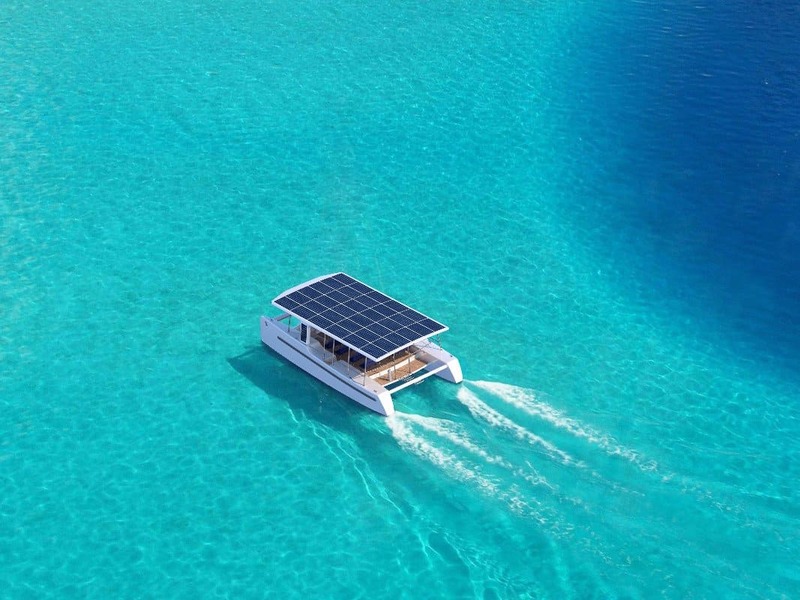 The SoelCat 12 is a twelve-metre electric catamaran that holds up to 24 people and runs at six knots on solar power. For night or low-sunlight travel, the 120kWh lithium battery system kicks in, allowing a speed of eight knots for six hours, or a “break-even point” speed of 6.5 knots for twenty-four hours. 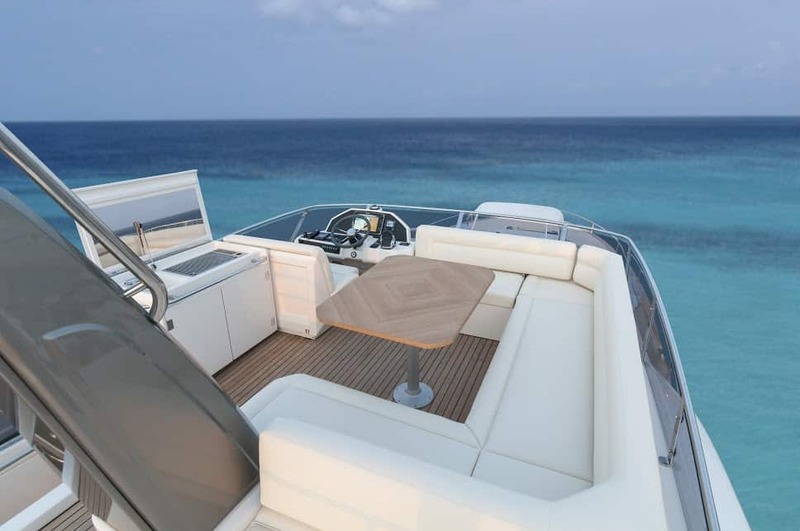 Soel’s body consists of two slender hulls that allow it to navigate the shallow waters of lagoons and reefs. 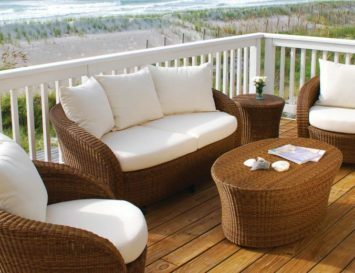 And the customizable, large deck area meets a variety of needs. From simple bench setup to fully equipped bar and matching lounge furniture, your layout depends on whether you want luxury and comfort or basic and practical. Let’s veer a bit off-course here. 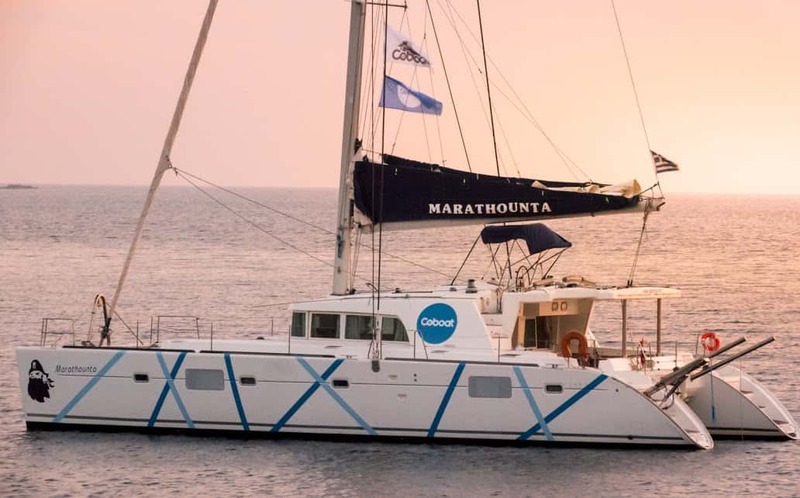 To be sure, like the SoelCat 12, Coboat is a large, sustainably powered catamaran. At 25 metres in length, Coboat holds up to twenty people. But these people aren’t on vacation, per se. They are on a workation. 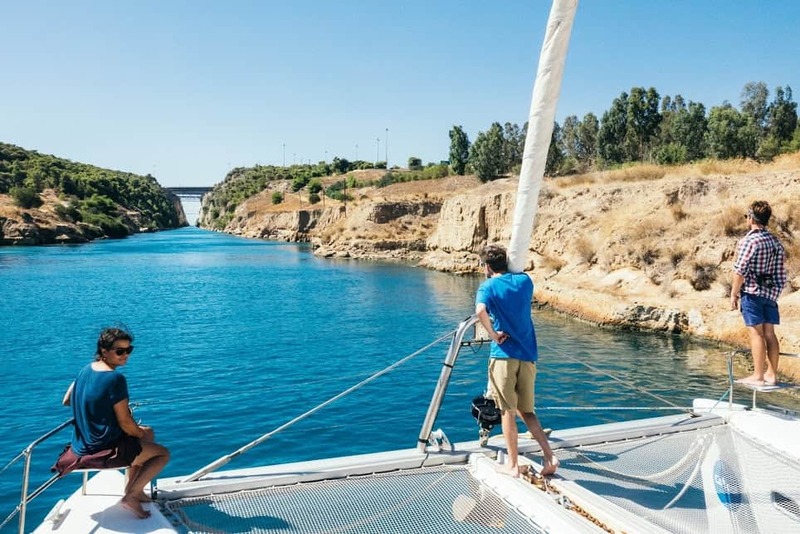 Started in 2015, Coboat is a large, co-working space for digital nomads, creatives and techies who want to plug in and work while sailing around the world. 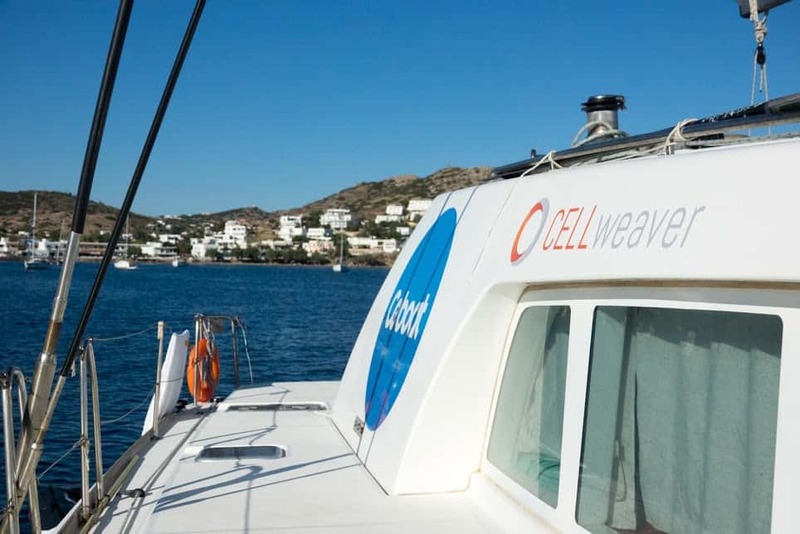 With wi-fi enabled by satellite on water and 3G or 4G network near land, Coboat is the ideal location-independent work-place. 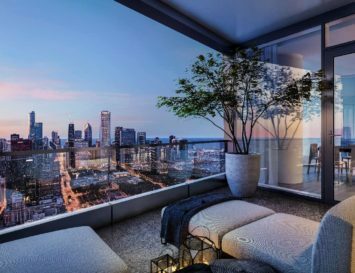 Imagine answering emails, scheduling Skype conference calls and remotely managing your online business while gazing at a point where sea touches sky, or listening to waves lapping against the hull. And when you’re not working, Coboat offers various activities, including yoga, scuba diving classes and water sports. There are even professional development workshops and skill sessions you can take to improve your skill set. 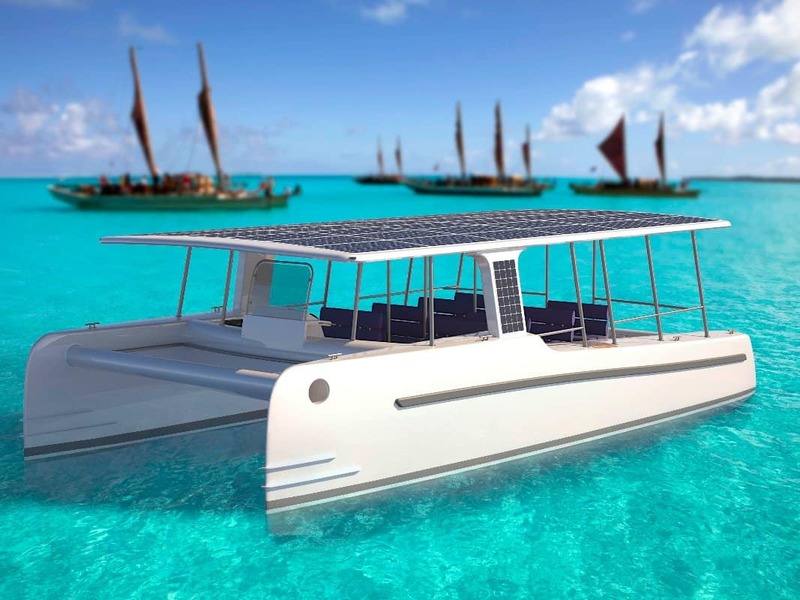 The ultimate goal behind Coboat is zero carbon emissions and no carbon footprint, via a solar and wind-powered catamaran. 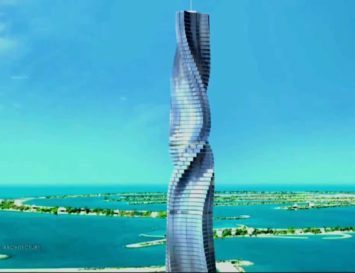 But until their “state-of-the-art electric propulsion system” is finished, the catamaran will rely on wind power as much as possible and the diesel engine as little as possible. While at sea, desalinated drinking water is provided through renewable energy sources. 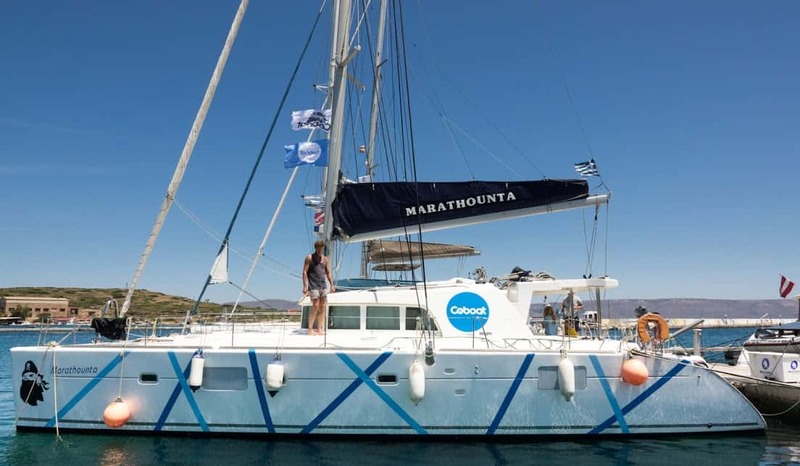 Coboat also supports the development of programs that help clean up the planet’s oceans. The idea is to bring people together to brainstorm ideas to clean up ocean plastic, as well as educate people on changing their behaviour. Such a great opportunity doesn’t come cheap, though. Ticket prices exceed US$1,300 – this includes three meals a day, non-alcoholic drinks, internet and port fees. But the cost is well worth it. 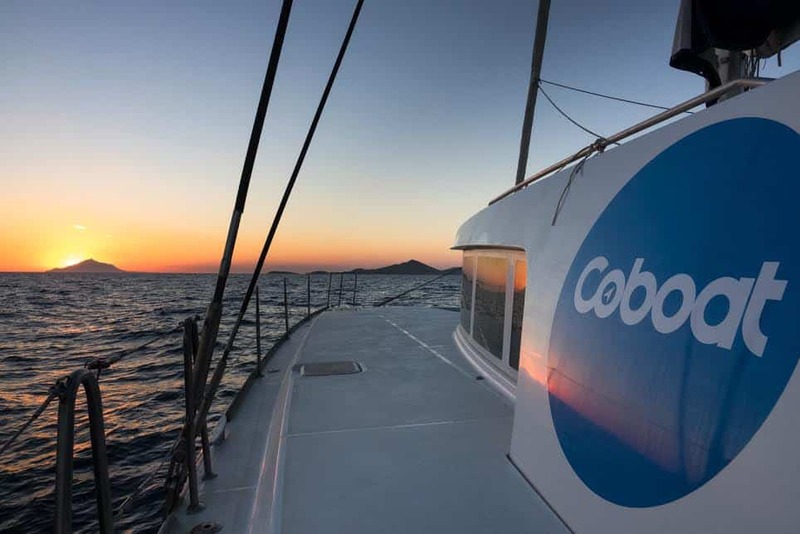 Whether tending to your own business or collaborating with fellow sailors, Coboat offers a private, distraction-free and highly inspirational (co)working environment, as well as an indelible life experience.